It all started some twenty years ago when two brothers Trevor and Ken Bibby opened up a small Accident Repair Centre in a small workshop in Newtownards. The business steadily grew as more and more clients were being recommended by word of mouth. As the business continued to grow the brothers realised the need to expand the business so a second workshop was purchased 200 yards further along the street and converted into the paintshop and office block. In 1981 the business has was still growing as was the need to relocate yet again, this was a significant move for the two brothers, it was at this stage there was the need for help as it was generally thought that the business was exploding out of all proportion. They were then joined by their brother Brian who took on the responsibility as Production Manager. In November 1999 we moved to a new and much larger site off the Bangor / Newtownards carriageway in Bangor. 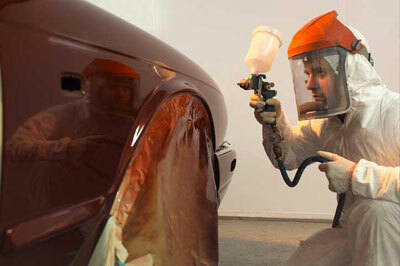 We have invested substantially in the most advanced repair facilities and the very latest technology. Our team of skilled technicians and support staff are among the most highly trained in the industry, and you will find T.K Motors are dedicated to providing the most efficient service and customer satisfaction every time.